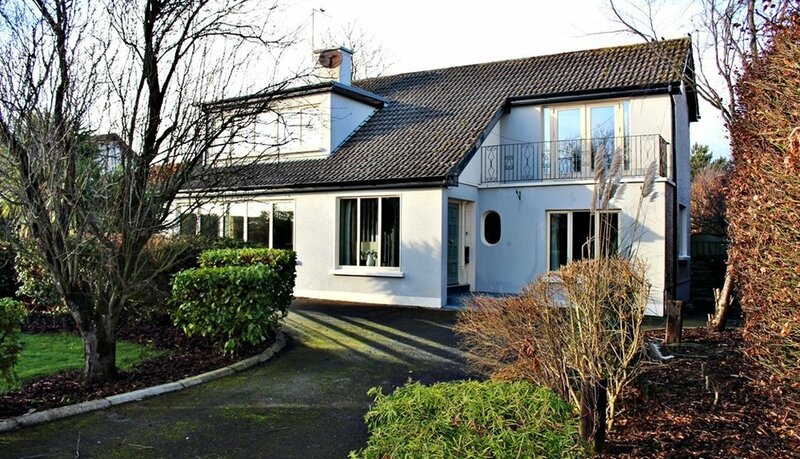 A beautiful four-bedroom family home has hit the market in Tullamore for €345,000. The house is located on Knockowen Road, Tullamore, and boasts a modern living space, large garden and a stunning statement front door. The spacious residence is in excellent condition throughout and is nestled in a mature, private location. The property is walking distance of Tullamore town centre and also comes with well-landscaped gardens to the rear. The light-filled sitting room has an open fire, wood floor, while the kitchen is modern with a breakfast counter and integrated appliances. French doors connect the living space to the garden. All four bedrooms come with built-in wardrobes with the master opening to a balcony.